As we head into this Thanksgiving week, I thought that it would be appropriate for me to share my Clariden Top Ten Things I’m Grateful for. 10. I’m grateful to be the Head of School at Clariden. Based on my experiences, Clariden is the best! 9. I’m grateful to have such a beautiful school to report to each day. Our students tell me how much they love it too. 8. I’m grateful to work with such an incredibly committed Board of Directors. 7. I’m grateful to work with parents who desire and support the quality of a Clariden education. 6. I’m grateful to have classrooms rich with engaging curriculum and resources for our students. 5. I’m grateful to work where creativity, collaboration and innovation are valued. 4. I’m grateful to work along side such highly educated teachers and staff. 3. I’m grateful for all the amazing opportunities we are able to provide to our students. 2. I’m grateful for the many parents, grandparents and friends of Clariden that financially support our programs, campus and learning environment. 1. I’m so incredibly grateful for all of Clariden’s fabulous students. They are truly amazing individuals. They make it easy for me to love my work. I hope that you find much to be grateful for this holiday season. I hope that love, peace, joy and all that makes you smile are abundant. 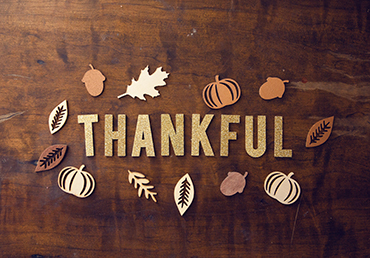 Wishing you a very Happy Thanksgiving!